What is the Pillars of Eternity Story So Far? Before diving into Deadfire, brush up on the most important details of the Pillars of Eternity story and plot so far. Game fans familiar with the first Pillars of Eternity will know that Obsidian Entertainment's massive and complex RPG is driven by a tale concerning gods, men, and the role that each play in the other's lives. While much of the story is influenced by the player's own choices, there are firm plot details that tie directly into the Pillars of Eternity 2: Deadfire story. For all those who wish to get up to speed on the story so far or simply read back through the game's biggest highlights, we've got a quick plot overview featured below. Spoiler alert: though the introduction to Deadfire does cover most of the crucial plot points from the previous game, the following synopsis will contain mild spoilers for the previous Pillars of Eternity release. Reader discretion is advised. The plot in Pillars of Eternity concerned itself with a number of ancient gods, primarily the god Eothas, a being who assumed control over a mortal body and guided his followers on a holy crusade. His actions angered the other gods, who rallied together their own band of human believers and used the power of a bomb known as the Godhammer to destroy Eothas. Years passed, and the struggle between Eothas and the other gods began to fade into memory. In the world known as Eora, within the area known as the Eastern Reach, several varied nations began vying for control over the land: The Vailian Republics, the Penitential Regency of Readceras, and the Free Palatinate of Dyrwood. Though the realm had a history of war and empires prior, these three major nations eventually found a mostly peaceful way of living among one another, going about their lives, trading goods, and working for the better good, all in the name of the remaining gods. Soon the world was on a cusp of a technological breakthrough — though science-minded citizens had been able to come up with technology like firearms, the biggest advancement came through a deeper understanding of the soul, namely as their basis for magical powers. Through animancy, the study of souls, it was discovered that this power could be utilized in life and even transferred after death, namely in a still-misunderstood process that allows the soul to enter a new body, a process commonly known as reincarnation. With a more fundamental understanding of souls came a stronger realization of their powers — eventually, some people found the power to look into souls to view memories of the owner's past life. They became known as Watchers, and were regarded with curiosity and suspicion for their ability to see beyond the facade of the general public into the shared memories stored within souls themselves. 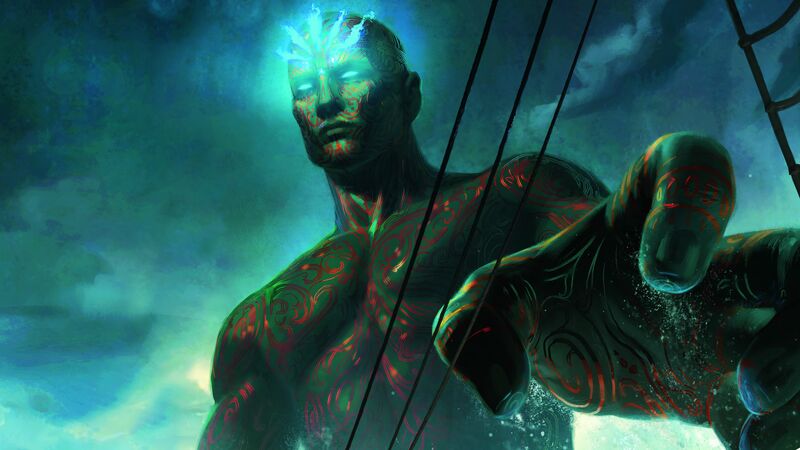 The hero in Pillars of Eternity would become one such Watcher. 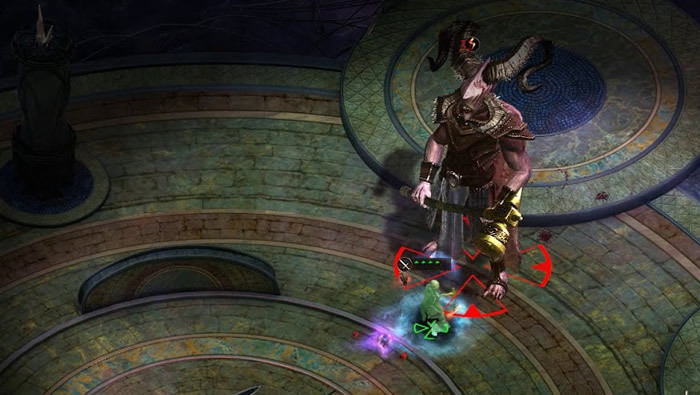 The player's selected hero, which in Pillars of Eternity 2: Deadfire could represent any number of different genders, races, and origins, arrived as an outside to the land of Dyrwood. After losing fellow travelers in a heinous storm, the hero stumbled into a cave and inadvertently witnessed a cult ritual that removed souls from bodies. In close proximity to the power of souls, the hero was transformed into a Watcher, a process that cursed them with hallucinations and insomnia. At the time, the realm of Dyrwood was under the effects of what citizens called the Hollowborn Plague, where new children were being born without souls, left powerless and without any significant consciousness. The locals believed the Hollowborn to be a curse brought about by the study of souls. This hysteria eventually culminated in riots which saw the murder of scientists practicing animancy as well as the destruction of the college where they performed their research. Through the course of the game, it's eventually revealed that the Hollowborn Plague was a devious plan concocted by Thaos Ix Arkannon, a powerful priest who managed to frame animancers to cover up his own agenda. The player tracks Thaos to the city known as Twin Elms, wherein it's revealed that the gods themselves are actually constructs forged by animancers using the material known as Adras, meant to serve as rulekeepers for an otherwise godless realm. Their primary goal was to shape the world by controlling the cycle of reincarnation among the general population. Thaos, as it turned out, was the last of that ancient order, only able to survive into modern times by controlling his own reincarnation. Thaos' ultimate goal was to preserve the secret of the gods for the betterment of the world's denizens — a noble enough agenda, to some eyes, though accomplished through grave misdeeds. Fearful that advancements to animancy would eventually reveal the great secret, he practiced his powers in the name of goddess Woedica, an opponent to animancy with aspirations of dominating the other gods. It's eventually revealed that those other gods are the ones who pointed the Watcher toward Thaos' lair. The game ends after the Watcher kills Thaos, and like many other aspects of the game, the details of the ending otherwise were dependent on the choices the player made throughout the game up to that point. With Thaos slain, the Watcher was free to decide what to do with the captured souls, doing the bidding of one of six different gods' wills. 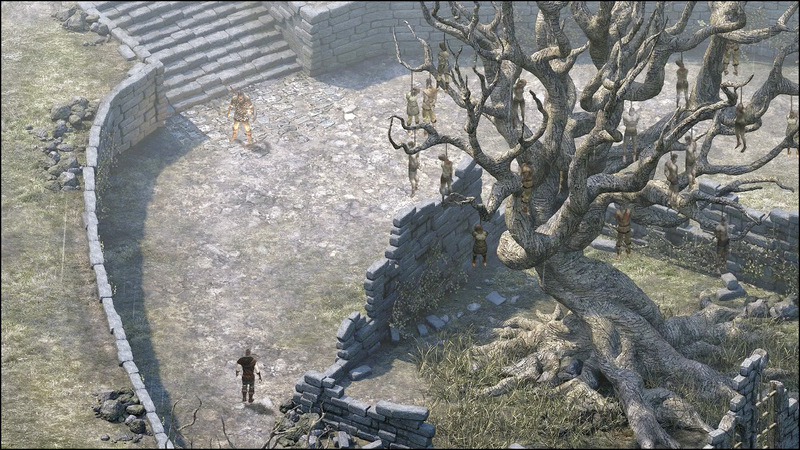 The choices made in Pillars of Eternity not only affect the game's ending, but will also affect some of the events within Pillars of Eternity 2: Deadfire. 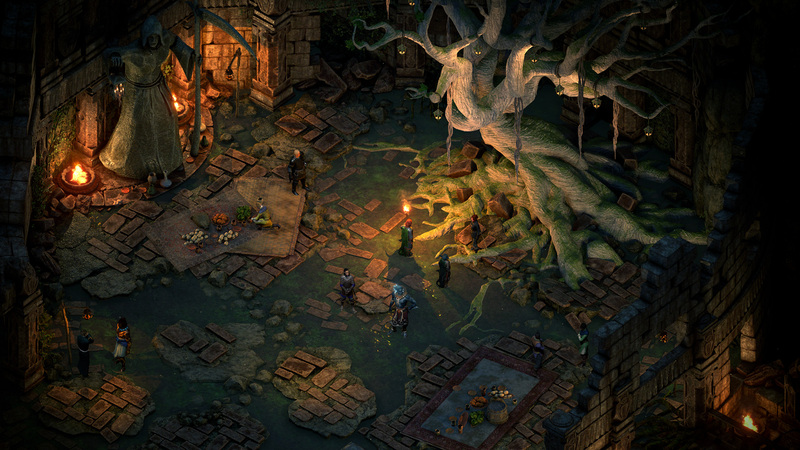 Players will be able to decide which of the Pillars of Eternity histories they would have followed at the start of the Deadfire character creation process; those who wish to continue their progress from the first game can load their previous save game in order to have the choices carry over; otherwise, they can choose from a number of pre-set Pillars of Eternity histories. To learn more about these systems as well as freshen up on abilities, attributes, tactics and more, head on over to our Pillars of Eternity 2: Deadfire walkthrough and guide.